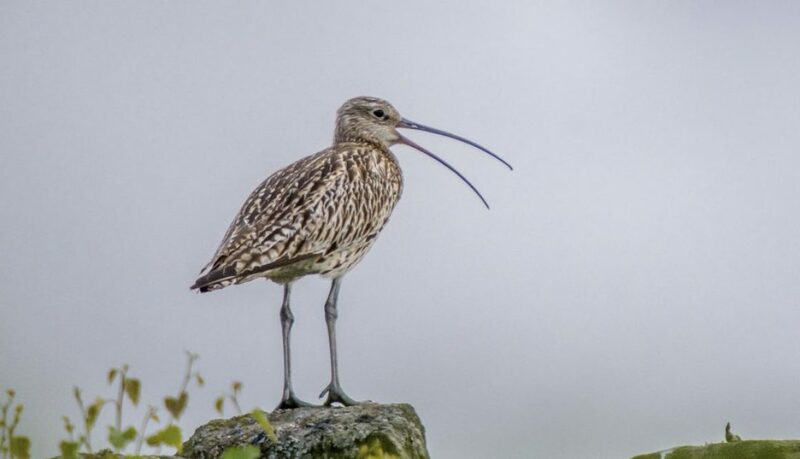 Over recent months the project has been working with the (Upper) Denby Village Conservation Group and the Garganey Trust, on interpretation for the Denby Delf site. 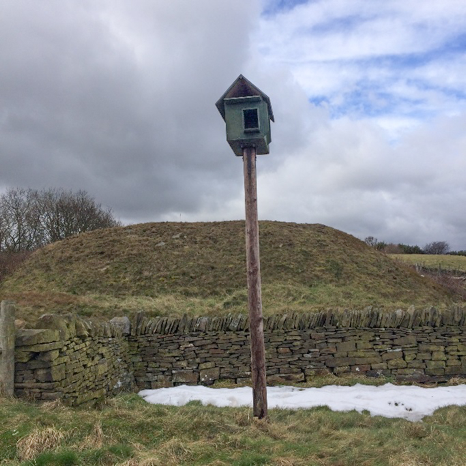 I’d recommend a visit to this magnificent local wildlife site, also steeped in heritage and with great views (see above). 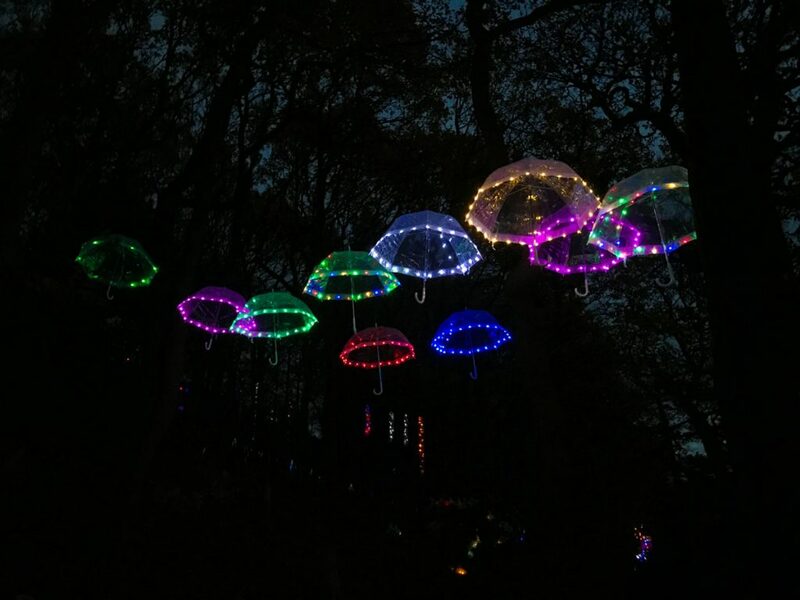 A spectacle of a different, but similarly impressive type, was seen in Cliffe Woods, Clayton West, at their ‘Light Up The Woods’ event in November. The conservation group and many others put in an incredible amount of work to create an illuminating, magical evening. Another great site is Churchfield in Denby Dale, where a lot of maintenance work has been carried out, some in preparation for the ‘Carols with Cake’ event there on Sunday December 2nd. 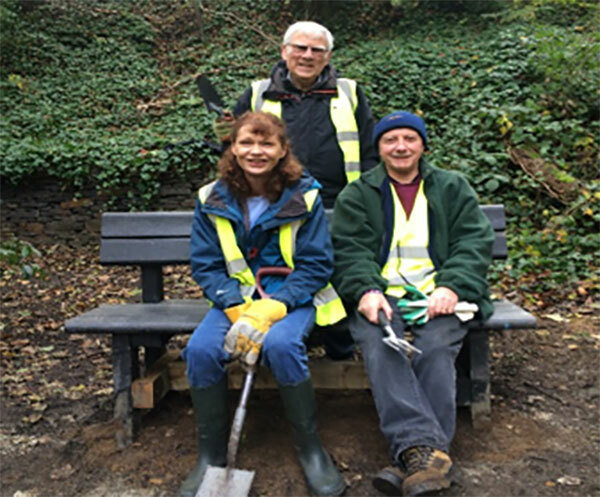 Work at East Hill Woods has included installation of a Men’s Shed refurbished bench which was initially pulled out by vandals. Undeterred, the volunteer group reinstalled it and it is still in place, providing a rest and tranquil view over the wooded valley. 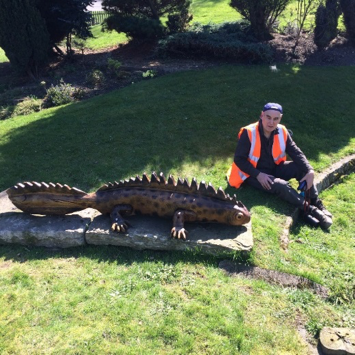 Work with volunteers on newt pond maintenance has continued with the 10 Village Conservation Group and they even expanded their usual environmental work to paint a public play area in Clayton West. The project also hopes to work more closely in the future with Emley Matters and will continue its work with schools, for example recently planting of bulbs and broad beans with Denby (CofE) and Skelmanthorpe First School. Daffodil bulbs have been planted at many sites around the parish and we eagerly await the splashes of colour they will provide, heralding the arrival of spring. Until then, have a wonderful festive season! There has been much work on the river Dearne within the parish this long hot summer. ‘River Guardians’ were recruited at Scissett First/Middle schools and Kayes, who also continued their involvement in the ‘Yellow Fish’ project. This involves marking up street grates, highlighting that anything that goes down these drains ends up in the river; hence only rain should go down the drain! To confirm the long-term effectiveness of this campaign, pollution monitoring is ongoing, based on what invertebrate (for example riverfly) life is found in and around the river. Control of invasive species along the river is also proving successful and clean ups have been held as well, again involving young people through the Navigators youth group. Both at Scissett and East Hill Woods, Denby Dale they inspired the grown-ups from the Friends of the Dearne and linked into Keep Britain Tidy’s Great British Plastic Pick Up. The 10 Village Conservation Group have also been instrumental in monitoring and clearing waste and invasive species from the river. Continuing the aquatic theme, the 10 Villages Conservation Group also continue to monitor and maintain local newt ponds. All this water-based volunteer work was celebrated with the Don Catchment Rivers Trust, as the Dearne ultimately feeds into the Don on the outskirts of Doncaster. 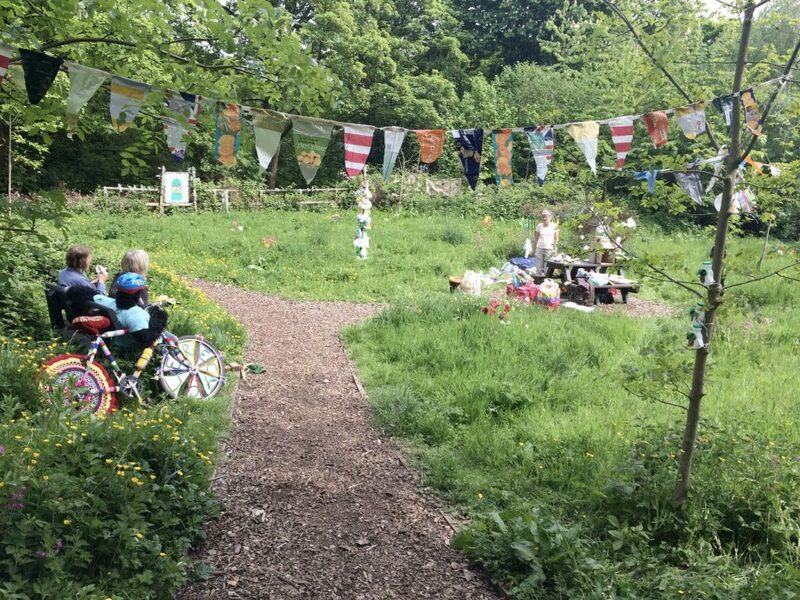 East Hill was also host to this year’s colourful ‘Woollen Woods’, which despite the name and presence of numerous knitted creatures, also highlighted pollution from plastic in today’s environment. School visits to Denby Delf and Margaret Wood. These sites near Upper Denby are managed by the Garganey and Countryside Restoration Trusts respectively and involved the young people bug hunting and pond dipping. Emley First school travelled a bit further afield with the countryside officer to do some rock pooling at Filey and older conservationists from Denby Dale Parish Environment Trust had a rest from funding local environmental projects, on a summer hike around Langsett, spotting some impressive wildlife in the process. The countryside project aims to engage residents of the parish of all ages, so was pleased to be invited to give talks on its work to the University of the 3rd Age and Emley Moor Gardeners’ Club. New volunteers were signed up at these presentations as they were at the 10 Village recruitment drive at Emley Show. New volunteers are always welcome (see below). 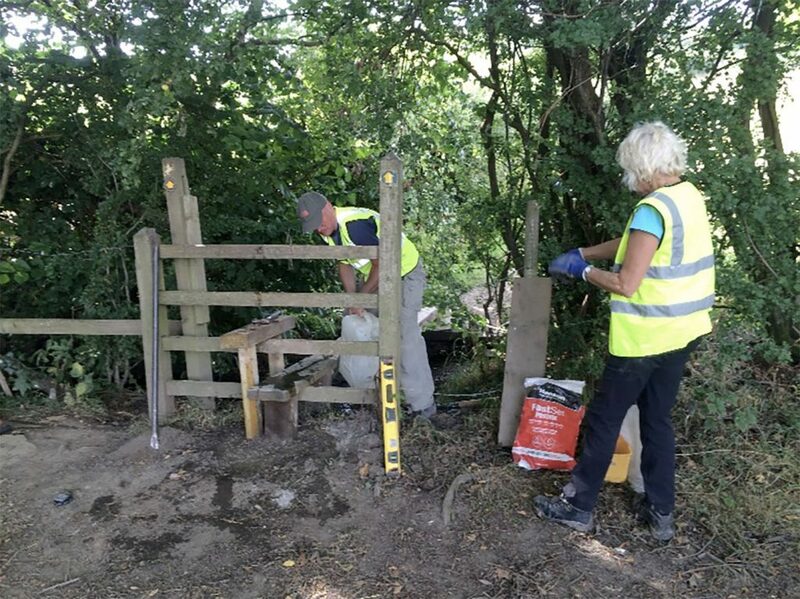 The 10 Village group work wherever necessary in the parish, for example repairing stiles but groups linked to specific sites are assisted also, for example at Denby Delf, Churchfield, Cliffe and East Hill Woods. Similarly, groups interested in working on the Churchfield allotments community plot are encouraged to get in touch with Dave (contact details below). Cummins (Turbo) corporate social responsibility volunteers were recently involved in the development of the plot as they have been on the river and scything East Hill ‘tennis court’ area. 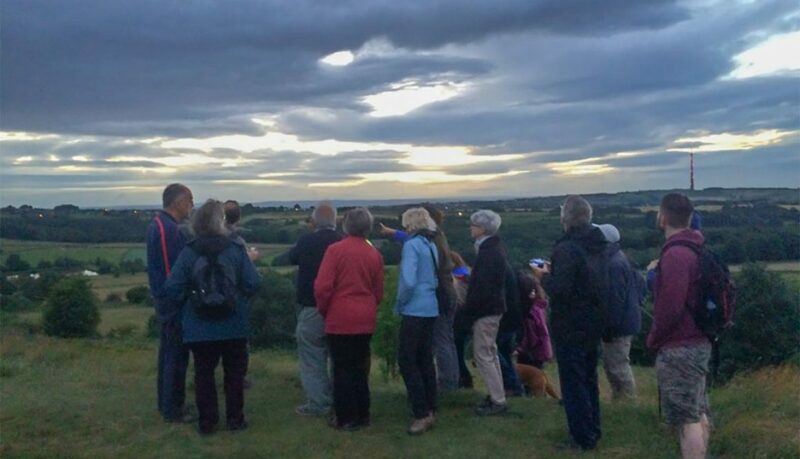 Finally this summer, the project was involved in the East Peak Outdoors festival, leading a bike ride around the parish and supporting a Walkers are Welcome volunteer- led visit to Bretton Hall. 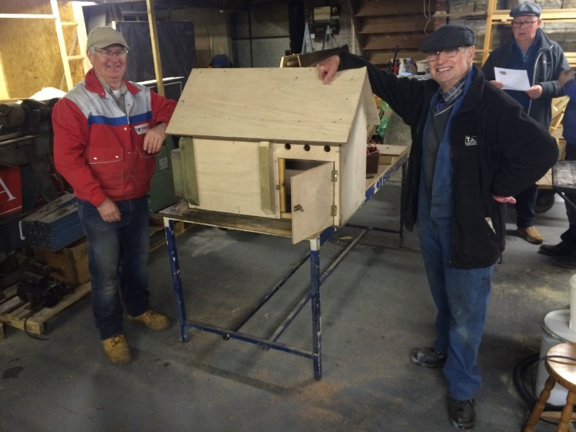 TEN VILLAGES CONSERVATION GROUP VOLUNTEERS WANTED! 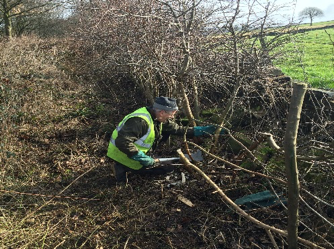 improving wildlife habitat and general environment for all around Denby Dale Parish.